KISS Army Finland is organizing traditional KISS convention and live event. 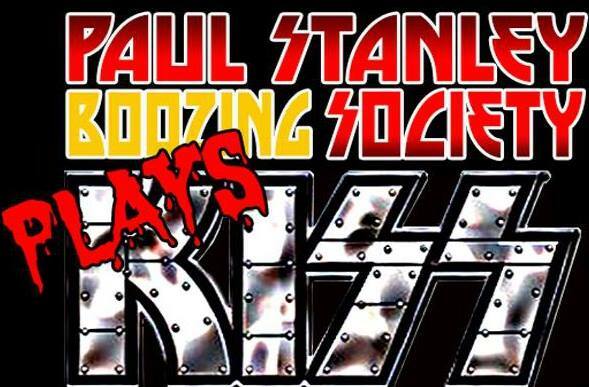 This time the Kiss and Hard Rock Convention II takes place in On The Rocks, located in the heart of Helsinki. 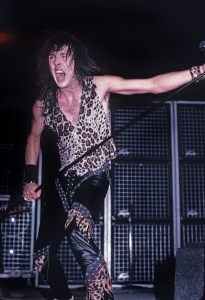 2018 marked Ron Keel’s 35’ Th anniversary as a major recording artist. From that first Steeler album to the brand-new Ron Keel Band release by the EMP Label Group, his career in entertainment has taken him from the concrete jungles of arena rock to the dirt roads of country music. 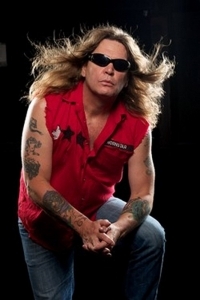 Along the way, he has sold millions of albums and toured the world as both a heavy metal screamer (KEEL, Steeler, and a brief encounter with Black Sabbath) and a southern rock/outlaw country artist (with dozens of songs in major films and TV shows). Ron’s solo album METAL COWBOY combined both genres, establishing a style and a persona which captures the heart and personality of this self-proclaimed rock n’ roll outlaw. David Reece is an American vocalist who has been active in the heavy metal rock scene professionally since the late 1980s, recording with several bands in diverse genres including Bonfire, Bangalore Choir, and Sircle of Silence. 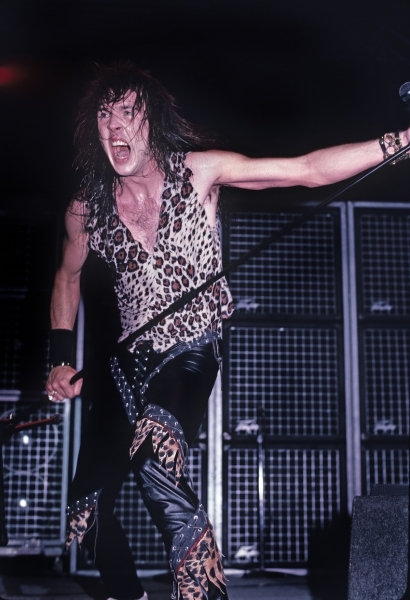 He is best known for his time with the band Accept, appearing on their 1989 album “Eat the Heat”. Currently, David is fronting his own band Reece and working on several projects. 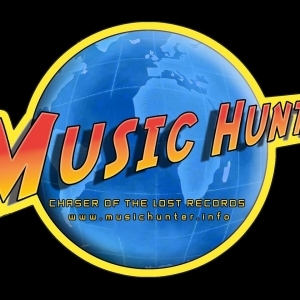 song “Feel The Heat,” the lead song for Sylvester Stallone’s COBRA film. He has also produced and co-wrote numerous hit songs/albums for The RAMONES as well as worked with Debbie Harry, John Waite, Glenn Hughes, Lionel Richie, N’SYNC, Cameo, Doro and many others. 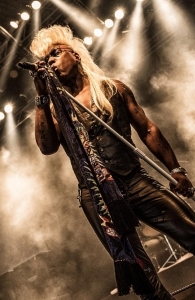 Marc Russell is a professional musician, songwriter, and producer, best known of his work with the former Twisted Sister frontman Dee Snider’s bands Desperado and Widowmaker in the ’90s. Later on, he recorded and did songwriting with such well-known artists as Anastacia, Marc Almond, Yanni and Kelly Osbourne(!). 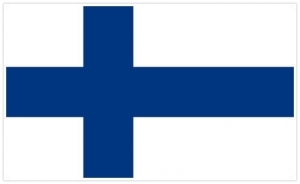 Marc currently resides in Finland and is happy to meet his old fans and fellow musicians at the Convention. 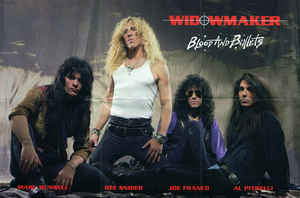 Widowmaker band in 1992. Marc far on the left. Longtime W.A.S.P. 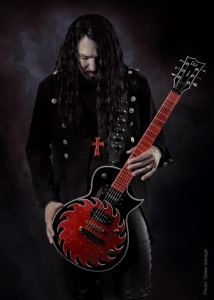 lead guitarist Douglas Blair moved to Finland from Boston in 2014 to become involved in band ’coaching’ — working within a nationwide social organization called Rock Academy Finland. He is also active in guitar building in collaboration with the Ikata School of Guitar Building, and with live sound mixing with his own upstart firm signal2noise FOH Audio. 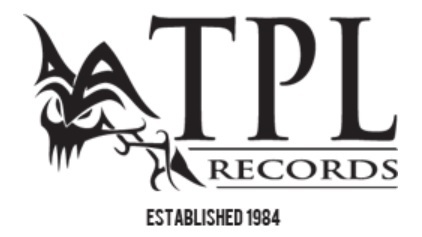 Blair also collaborates with Chris Laney(Pretty Maids) and Bruce Kulick(KISS/Grand Funk Railroad) on the exciting ”Dreams In The Witch House” US/SE rock opera project based on the 1933 HP Lovecraft short horror story of the same name. 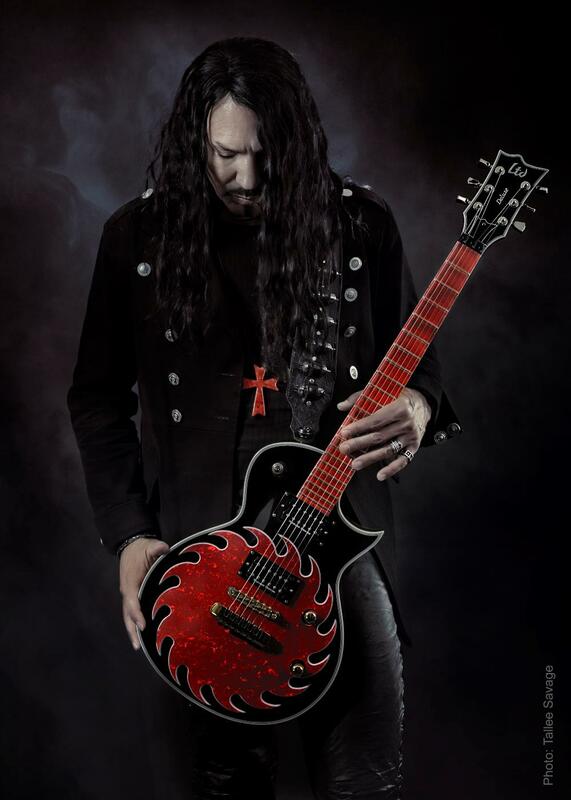 Appearing on W.A.S.P.’s last 4 studio releases(and a few live ones), Douglas originally auditioned for the group’s 1992 US/EU tour in support of the iconic Capitol Records ”Crimson Idol” release, learning Bob Kulick’s challenging and now-legendary leads. Performing them live through the ’92 run, and ever since rejoining in 2006, he and the group have presented both a 15-year anniversary tour in 2008 and a 25th-anniversary tour in 2017. In both well-received runs, the record was performed in its entirety — with Blair employing his self-designed and constructed ”Blair Mutant Twin” acoustic/electric double neck guitars to cover the wide dynamics required in the instrumentation. In 2017, Douglas also painstakingly re-recorded all of Mr. Kulick’s leads for the highly-anticipated Napalm Records 25th-anniversary release ”Re-Idolized”. 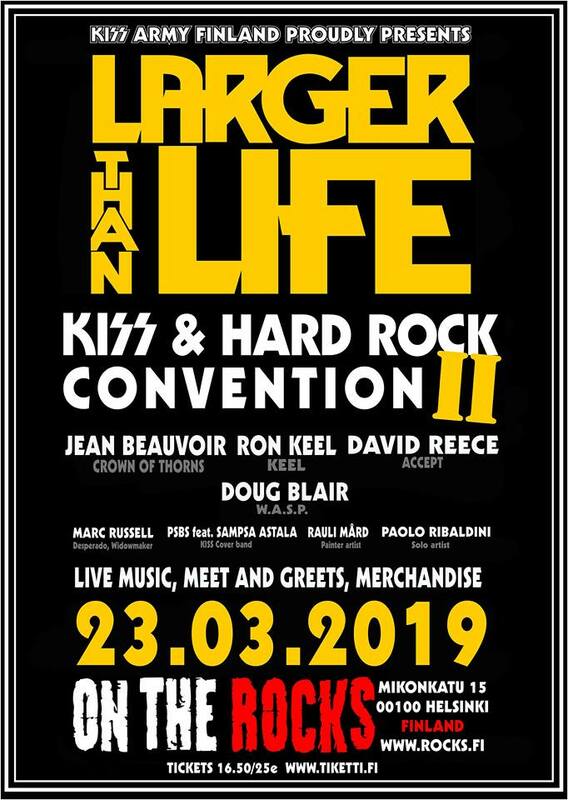 For the first time ever, he will finally meet the man whose lead work has helped define his professional career at the Helsinki ”Larger Than Life” Convention II. MORE QUEST AND DEALERS WILL BE ANNOUNCED! Hotel Carlton offers a discount during the Convention! Need a place to sleep? 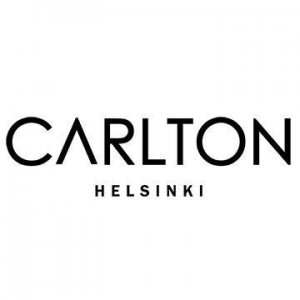 Partner of KISS Army Finland and On The Rocks, Hotel Carlton Helsinki offers 15 % discount, through their website www.carlton.fi. Use promo code ”KISS”, when you’re finalizing the reservation, and you will receive the discounted price. The discount is calculated from the present list prices. Hotel nights include breakfast and wifi.